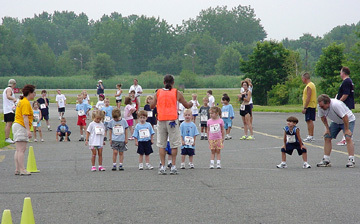 Over 600 runners chased a "pace plane" up and down the main runway at Teterboro Airport for the 5K (or 3.1 mile) course. 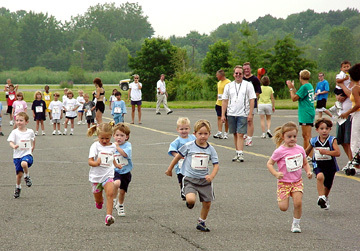 "Mini-flyer Dashes" (25-200 yards) for children 2 through 12 followed the 5K event. 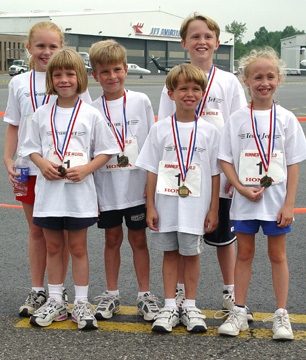 The 8th Annual Bank of America Teterboro Airport 5K Run was held Saturday, July 16 at 8:30 a.m. starting at the Jet Aviation facility. Teterboro Airport suspended flight operations for about 60 minutes. The event featured over $15,000 in random raffle prizes donated by corporate sponsors including a $1,000 Super Grand Prize Weekend Getaway for two. The 2005 5K run benefited 2-1-1, United Ways statewide free, 24-hour information and referral service that connects people with social services and community programs that can help with everyday health and human service needs. "Nightmoves" provided DJ entertainment. There were plenty of water stations throughout the race area. Nourishment was available upon the race conclusion. 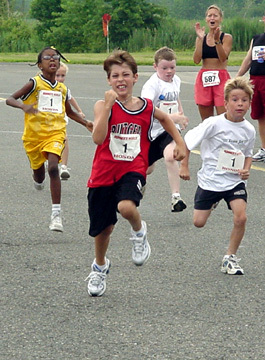 Runners received a "goody bag" upon departing the race. The Aviation Hall of Fame provided support and Million Air provided the Cessna 172P chase plane. This event was organized by Bergen County United Way. 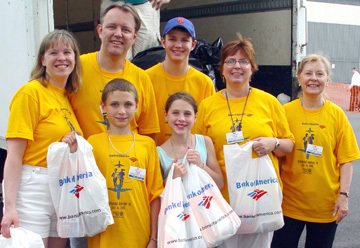 Bank of America was this years title sponsor. Presenting Sponsors were the Port Authority of New York and New Jersey, Jet Aviation and AvPorts. Major Sponsors were Mellon Financial Corporation, Pfizer Inc., and PSE&G. Supporting Sponsors were Enterprise Rent-A-Car, GEICO, The Hertz Corporation, and Valley National Bank. The race director was Mark Zenobia (On Your Mark Productions). 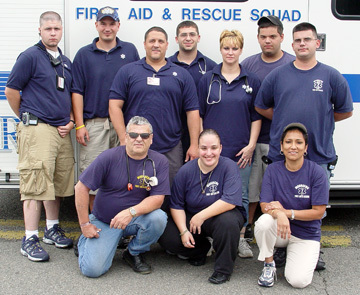 The event organizer was Krista Garofalo of Bergen Countys United Way. 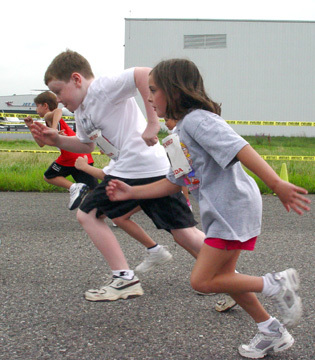 In addition, many volunteers contributed in making the Annual 5K Run a big success. The event raised over $30,000 for the health and wellness programs funded by Bergen Countys United Way, bringing the eight-year total to almost $200,000 (net) raised. Dial 2-1-1 to get connected with social services and community programs that can help you with your everyday health and human service needs.